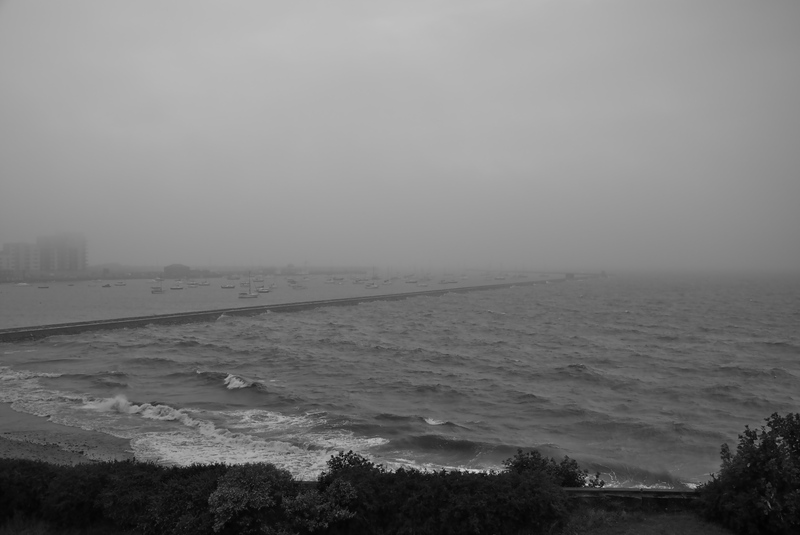 Its not very summery today even though it is the middle on July. Actually the waves out around Granton harbour are the biggest we’ve seen here since moving in. I love being tucked up nice and warm inside and watching the waves crashing over the pier. I am looking forward to winter when hopefully the waves will get even more ferocious. It was a bit tricky to get a good picture of the waves this evening, but here is my best attempt.